Glass Nation has a huge & growing selection of the best bubbler pipes for sale online. Everyone needs a good bubbler pipe in their glass art collection. 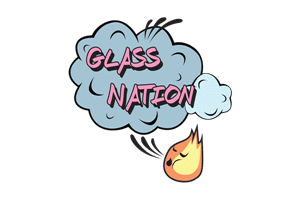 Whether you decide to get a silicone bubbler, a mini bubbler pipe, glass bubbler, or a double bubbler pipe: Glass Nation has you covered. What makes a bubbler bong different than a spoon pipe is that a bubbler has an affixed downstem which enables water filtration of the smoke in a handheld smoking device. A bubbler is very similar to a hand pipe, however a bubbler has water incorporated in the functionality of the pipe. Water helps cool down the smoke and provide a smoother less harsh smoking experience. Many find the incorporation of cold water into smoking to be refreshing. Take your glass art collection to the next level by adding a bubbler to the mix. Every great pipe collection has a good bubbler in it.